Australian Vintage and the McGuigan brand recently joined forces with TLC Marketing to execute an exclusive BTL campaign. 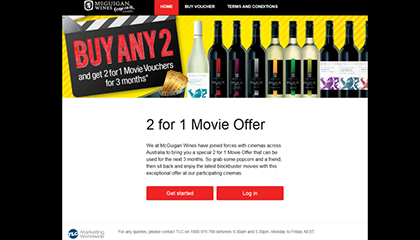 Seen nationally in independent bottle shops, McGuigan Wines gave away a special 2for1 movie offer, valid for repeat use across a three month period. Rewarding loyal customers is a large part of the McGuigan brand, with the offer therefore becoming a perfect alignment, incentivizing customers to try the refreshed Bin Series range alongside McGuigan Black Label. 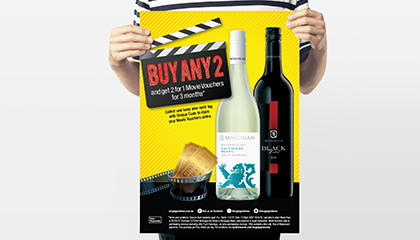 The successful campaign reached sales uplifts in both the Black Label range and the Bin Series range, while providing McGuigan Wines customers with the chance to sit back and enjoy the latest blockbusters across Australia. 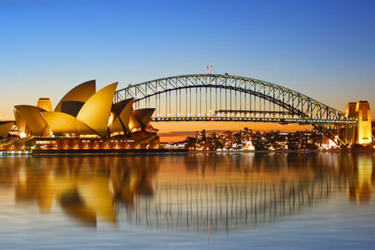 McGuigan Wines is one of the most awarded wineries in the world. The winery has won the “world’s best winemaker” three times, which is a testament to their commitment to producing wines that are full of vibrant fruit flavors that offer consistent quality and value.